Angela Constance wants to see more 'fairness, dignity and respect' in the treatment of claimants. Unemployed Scots will not face the threat of losing their benefits if they fail to take part in official back-to-work schemes being devolved to Holyrood, Angela Constance has indicated. 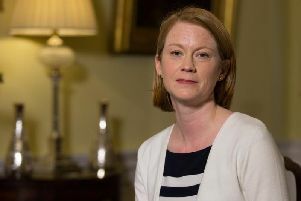 The social security secretary said yesterday that a deal had been struck with the UK government which would mean that Scots won’t face the threat of sanctions, as she took part in a Q&A and yesterday. But opposition parties last night warned the threat of sanctions are needed for these schemes to work. Power over 11 benefits, worth about £2.7 billion, is being devolved in the coming years. This includes some employment programmes which are currently mandatory and can see benefits cut if participants miss sessions or turn up late. But Ms Constance reportedly told BBC Scotland yesterday that Scottish ministers have “secured agreement” from the UK government that its “sanctions regime won’t apply to Scottish government employability programmes, where participation is voluntary”. It is part of the SNP’s drive to put “fairness, dignity and respect” into the treatment of claimants. But Scottish Conservative social security spokesman Adam Tomkins said: “The hard fact is this – in order for these programmes to work for everyone the use of sanctions has to be an option, even if it’s a last resort. “The SNP is being extremely naïve if it thinks otherwise.